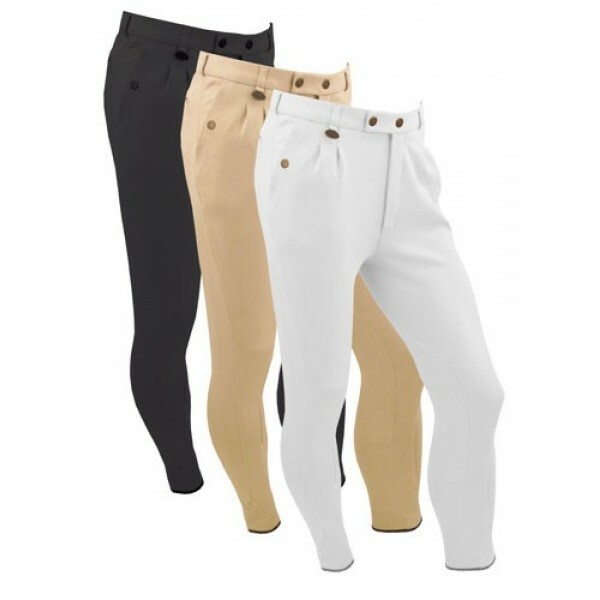 Perfect for growing lads with contoured seat and pleats to match our mens casual breeches. Made from knitted cotton with spandex for excellent stretch and shape retention. Features include slash pockets with Equetech stud fasteners, belt loops, zip pocket to back, Equetech comfort waistband and Velcro binding at hem.